Write or e-mail for catalogs in March or April. 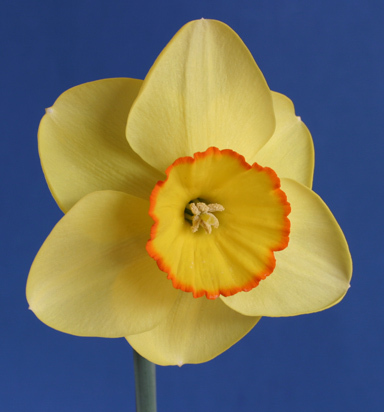 By July, purchase the daffodils you want. The bulbs will be shipped to you in September or October. Keep them in a cool (but not refrigerated) and well-ventilated place until the warm weather has broken and the soil has cooled. Then plant typically during late October or November in a sunny location where there is good drainage.